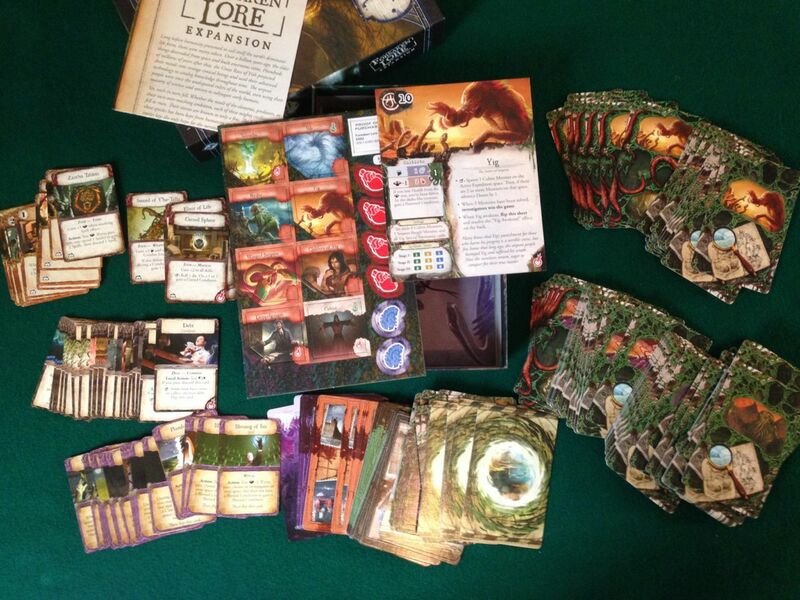 There are more cards for the encounter decks, plus new items and spells and also new conditions. I am particularly interested in having more mystery cards for the existing GOOs. This will add even more variety in the ‘missions’ the investigators have to complete to win the game. Lots of cards. All the ones you need for the new GOO, plus additional cards for all the existing decks. And some new monsters. You basically just mix all the new cards in with the current ones to add more variety to all the decks. 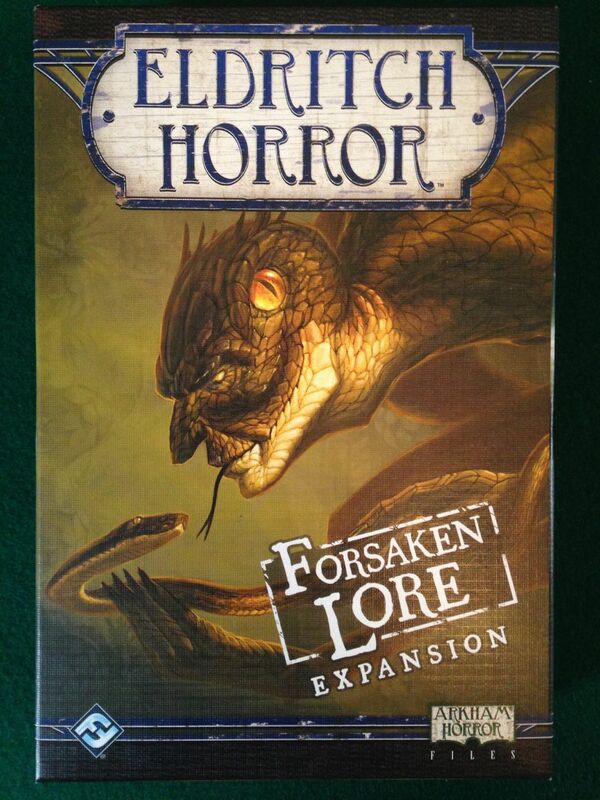 Its like the Arkham Horror expansions in that respect. If you have played the main game a few times and are starting to recognise some of the cards then this freshens everything up again. The new cards all have an expansion icon in the corner, so you can take them out again if you want to. 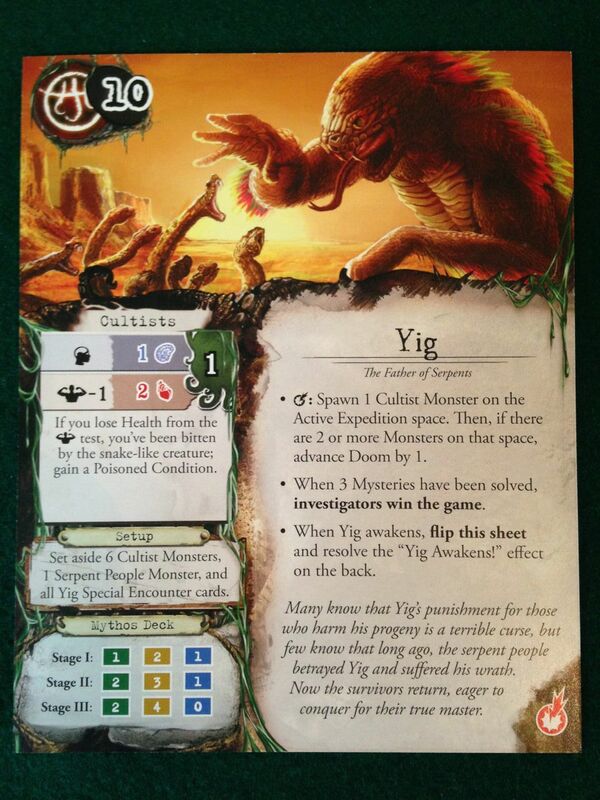 Yig, Father of Serpents. The new GOO.